1 60 ml (2 ounce) bottle of Rogaine or it's generic equivalent. Walmart sells a brand called Equate which contains 5% minoxidil at a price of just $20 for 3 bottles. 5 mls of azelaic acid flakes. Using a clear plastic medicine cup measure out 5 mls of azelaic acid flakes and dump them into your fresh bottle of 5% minoxidil. 5 mls will also be equivalent to one teaspoon. Then close the bottle and shake it up for a 2-3 minutes. Then wait 24 hours for the azelaic acid to fully dissolve. Apply twice per day just like you would apply 5% minoxidil. If you are unsure how to apply just follow the directions you received with your bottle of minoxidil. 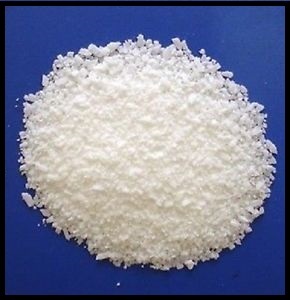 Below is a supplier for the azelaic acid flakes. I have no affiliation, financial or otherwise with the supplier. I also highly recommend you add the product Hair Muck to your minoxidil and azelaic acid. Hair Muck contains 3 things I believe are highly beneficial and will make the formulation much more powerful. It contains saw palmetto, beta sitosterol and a small amount of polysorbate 80. It also contains a bit of glycerin which will also tend to help with some of the scalp irritation problems associated with using a minoxidil based formula. A years supply will cost you about $40. You simply measure out 10 mls and dump it in your minoxidil and azelaic acid combination. If you are interested you can purchase Hair Muck at the link below.